FALL RIVER, Mass. — Southcoast Health today announced the addition of the NAVIO Surgical System for partial knee replacement surgeries. The NAVIO system helps surgeon’s perform accurate and precise partial knee replacement surgery through computer and robotic assistance. The system works by collecting precise information about the patient’s knee for the surgeon to use and create a patient specific surgical plan. A robotics-assisted handpiece is then used by the surgeon to accurately prepare the bone surface for implant placement. 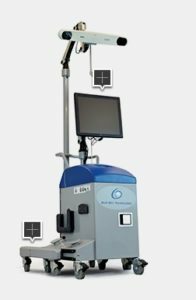 A NAVIO robotics-assisted partial knee replacement has no special pre-operative preparation or post-operative recovery protocol, and does not require a radiation intensive CT-scan. The system does not perform the procedure, rather it assists the surgeon through robotic and computer assistance. A partial knee replacement procedure is intended for patients dealing with knee pain who have osteoarthritis generally limited to one compartment of the knee, and who have failed non-surgical treatments. For younger adults, a partial knee implant is considered “a bridge to the future”, surgically amending what can be repaired at present before further degeneration in the joint occurs. A partial knee replacement is a small-incision procedure that replaces the damaged portion of the knee joint only, sparing health bone and cartilage. Compared to total knee replacement, partial knee replacement has been shown to offer less pain, quicker rehabilitation, a shorter hospital stay and a more normal feeling knee. To learn more about how Southcoast Orthopedics and NAVIO robotics-assisted surgery, visit: www.southcoast.org/services/orthopedics/joint-replacement-total-partial/knee-replacement/, call 844-744-5544 or locate a Southcoast Health orthopedic surgeon at www.southcoast.org/doctors/. Smith & Nephew’s NAVIO Robotics division is developing the next generation of surgical instruments for use in orthopedic procedures. 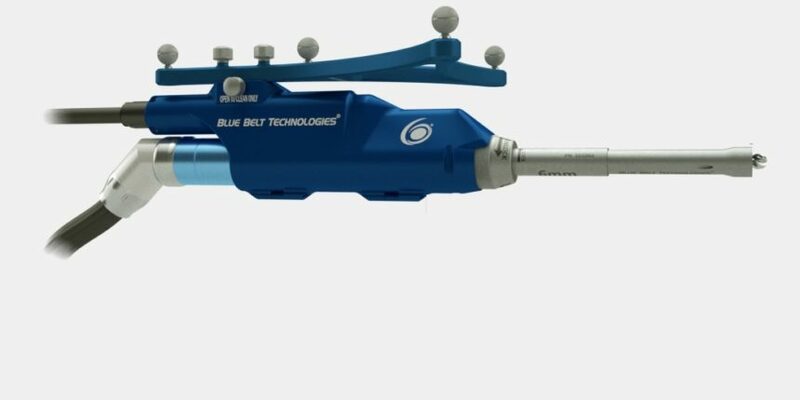 The NAVIO Surgical System incorporates patented technology to provide precise robotic control to surgeons via a computer and robotic assistance. The NAVIO system provides the surgeon with enhanced accuracy and safeguards for performing bone shaping tasks. To learn about NAVIO robotics-assisted surgery visit www.ReshapingMobility.com.